Clumsy criminals with a profound sense of morality – including a dash of Robin Hood values – are the subject of Steven Soderbergh’s latest movie, an effective comedy mostly set in Charlotte, North Carolina (NOT Charlottesville in Virginia, but also not too far from there). It centres around a small group of outcast males who decide to carry out a bank heist so that they can make ends meet. Their plans are entirely ludicrous and yet strangely feasible. The absurdity of their predicament makes Logan Lucky fun to watch. Heartthrob Channing Tatum (who famously starred in Soderbergh’s Magic Mike, in 2012) is his usual delicious beefy self as Jimmy Logan, the difference is that this time he comes with a limp. He’s dismissed from his job once his coworkers notice the problem with his leg: his employer becomes concerned that such “pre-existing” condition could cause insurance problems. An issue symptomatic of a country that punishes people for being sick. He’s joined by his one-armed brother Clyde, who lost his limb in Iraq. There are subtle sociopolitical comments throughout the movie, which is ultimately a lighthearted celebration of the marginalised Americans. 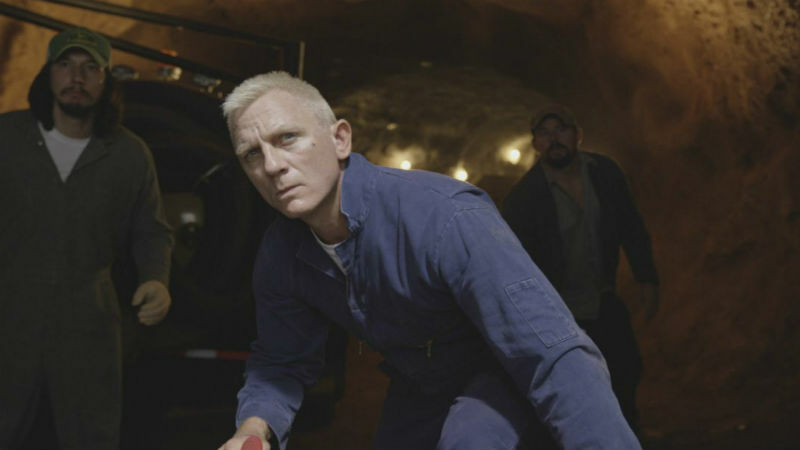 Jimmy and Clyde are joined by other social pariahs, including an incarcerated Daniel Craig with his usual charming muscles combined with a highly nasalised American accent. He helps to perform the heist from inside the prison , and how he does that is one of the surprises that the film has in store for you. The plan is to rob the Charlotte Motor Speedway during the big racing day of the year. The movie is teeming with slapstick elements, including a fake limb being sucked up by a ventilation system, knockabout quarrels and car chases. The climax of the film is a rendition of John Denver’s Take me Home, Country Roads by Jimmy’s daughter Sadie during an infantile beauty pageant. The song is a reference to the neighbouring state where Jimmy and Sadie live, and it lends some emotional punch to the storyline. Logan Lucky is a cute and colourful movie, but it lacks the punch-in-the-face factor of Soderbergh’s more subversive Bubble (2005) and the contemplative depth of Solaris (2001). This is just a colourful comedy, dotted with a some goods moments and performances, but it lacks a certain je-ne-sais-quois, and I couldn’t help leaving the cinema thinking that something was missing. And sometimes it feels a little too long at 119 minutes. It is worthwhile noting that Adam Driver is not disabled: he’s in full possession of both of his arms in real life. which opens up the discussion around whether characters representing certain minorities should be played by actors from their respective minorities (such as a disabled actor playing a disabled character). Logan Lucky is out in cinemas across the UK on Friday, August 25th. It’s out on DVD, BD and VoD in the last week of December.